Katy Koontz wanted to write children’s books when she grew up. She took the long way around, spending the bulk of her career as a staff writer and editor and then a freelance journalist. 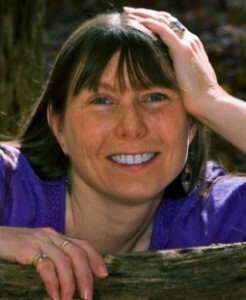 Her articles have been published in magazines (including Reader’s Digest), in newspapers (like The New York Times), on websites (such as Expedia’s family travel website), and on cardboard (she wrote the Katyville Gazette by hand for her friend Mike on shirt cardboard from the cleaners when she was in elementary school). Katy is also the author of Family Fun in the Smokies: A Family-Friendly Guide to the Great Smoky Mountains (Great Smoky Mountains Association, 2012) and Smoky Mountain Travel Guide (a travel app for smartphones). The Banana Police is her first children’s book, written for her daughter Sam, who is pretty much all grown up now. Born in Philadelphia, Katy lived in Boston and New York City before moving to Knoxville, Tennessee, more than 20 years ago.